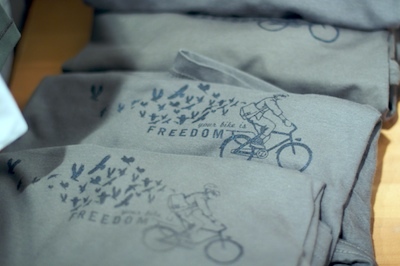 Handscreened Your Bike is Freedom tees are now available for purchase in limited quanities – we’re selling what Chris Mahan made at the Hugga Holiday party. 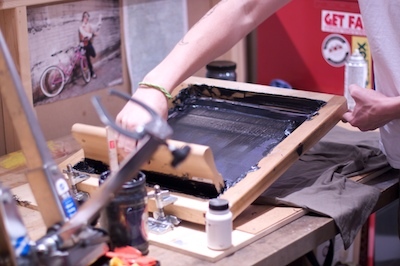 Note these tees vary slightly from the handmade process. Each one is unique and we suggest you toss them in the dryer for a few minutes to set the ink before you wash them. They cost $14.99 plus shipping. More photos of the tee in our Hugga Holiday Party photostream.